The 6th biennial Pharmaceutical Flow Cytometry and Imaging meeting will be held at GlaxoSmithKline, Stevenage today and tomorrow. 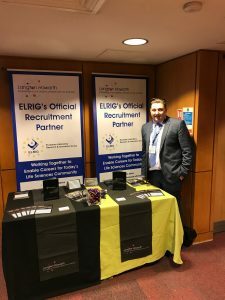 As ELRIG official recruitment partner we are in attendance. If you are visiting the event either on Wednesday 14th or Thursday 15th November, or are one of the exhibitors, then please call and see our Business Development Manager – Owen Fothergill who is there both days representing the team at Langton Howarth. Owen will be happy to discuss any recruitment needs anyone has!